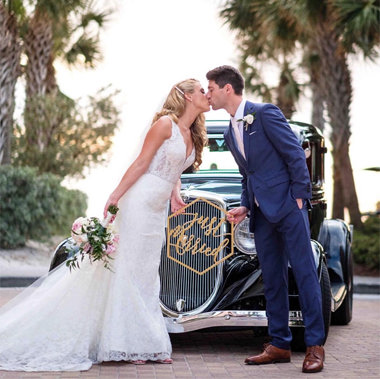 Since 1997, Artistry Designs has established its reputation as the premier wedding planning, floral design and decor company in the Tampa area. At Artistry Designs, we strive to get to know our clients and integrate their unique vision and personal style into their one-of-a-kind event. We pride ourselves in making the planning and design process a stress-free and enjoyable experience for everyone. From day one, we establish an authentic relationship with each of our clients based on trust and effective communication. This ensures that we are able to provide the highest quality customer service and attention to detail when designing and creating a truly exceptional event. 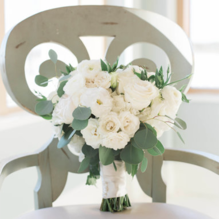 Based out of Tampa, Barb Oehlerking is a full-service event planner, floral designer, and decorator that has successfully grown her brand to become a one-stop-shop for all of your wedding needs. Barb began her career in event planning more than seventeen years ago by opening Grande Occasions Event Center. Her clients quickly recognized her unparalleled creativity, ability to build extra ordinary floral arrangements and keen eye for design. Due to their urging, she officially established Artistry Designs Group in 2005. This allowed Barb to expand her business and make headlines in the floral design and décor industry. Barb has competed with the top floral designers all over the world in order to construct show-stopping events. In 2012, Barb was awarded the Spotlight Award for Floral Designer of the Year, which was presented to her by celebrity wedding planner, David Tutera. This award was based on the designer who exhibits creativity, quality and innovative work that enhances the design objectives of the event.Barb was given the award because she utilized her artistic talents to create a powerful impact with her floral designs. Her imaginative approach to each event has the ability to not only fabricate gorgeous florals, but to bring to life her clients visions and deliver memories that live beyond the event. Barb and her designs have also been featured in Style Me Pretty, Brides, The Knot Magazine, Wedding wire, Style Me Pretty Little Black Book, Martha Stewart Weddings andSpecial Events Wedding Gallery. Sabrina Fusek is an honors student from Southeastern University persuing a Bachelor of Science degree in Organizational Leadership with a minor in Communications. She has joined Artistry Designs as an event coordinator in order to pursue her passion for event management and design. Sabrina is passionate about working with clients to create and execute the wedding experience of their dreams. Her positive outlook, extraordinatry patience and fierce dedication to weddings make her a joy to work with. Today, Artistry Designs outstanding team of artists and trailblazers are known for their fresh and innovative ideas, lavish decor concepts and exceptional expertise. From gorgeous florals, lighting schemes, room draping, furnishings and specialty linens,Barb and her experienced team leaves no area untouched when it comes to your event.